​​​​The beautiful art of calligraphy is an expression of one’s heart, head and hands. Nothing rivals the beauty of the human touch. Calligraphy establishes a tone of sophistication and elegance not found in computerized type, making it the perfect ​choice for weddings and special events. As a calligrapher for 25 years, it has been my goal to produce beautifully penned stationery with attention to accuracy and detail. My love of lettering lead me to pursue the art of monogram design as well. Monograms are the perfect motif for weddings and/or special occasions and compliment hand calligraphy beautifully. Beyond the wedding, monograms are a fitting addition to household and personal items. I have had the pleasure and privilege of working with clients throughout the United States. I am deeply grateful for their trust, confidence and allowing me to be a part of their special event. They provide their vision and, together, we collaborate to create something that is uniquely their own. 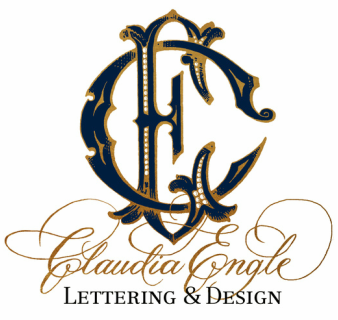 ​In addition to working with clients directly, I am also employed by several fine stationers, designers and event planners.